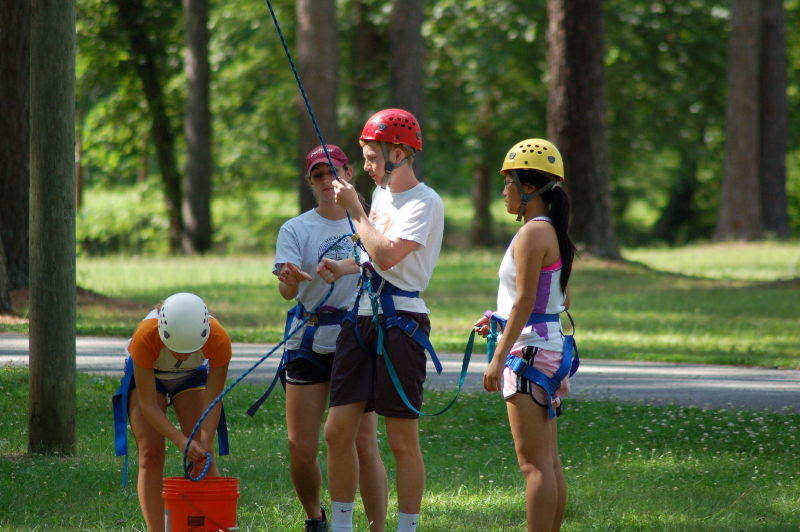 Adventure-learning means the curriculum is active, fun and outdoors. 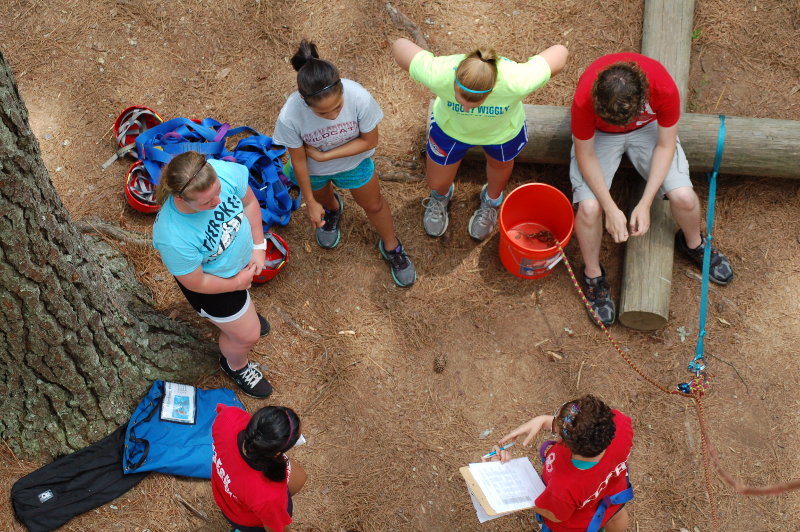 We turn the Pine Valley ropes courses into leadership labs, a series of obstacles that your team must overcome. 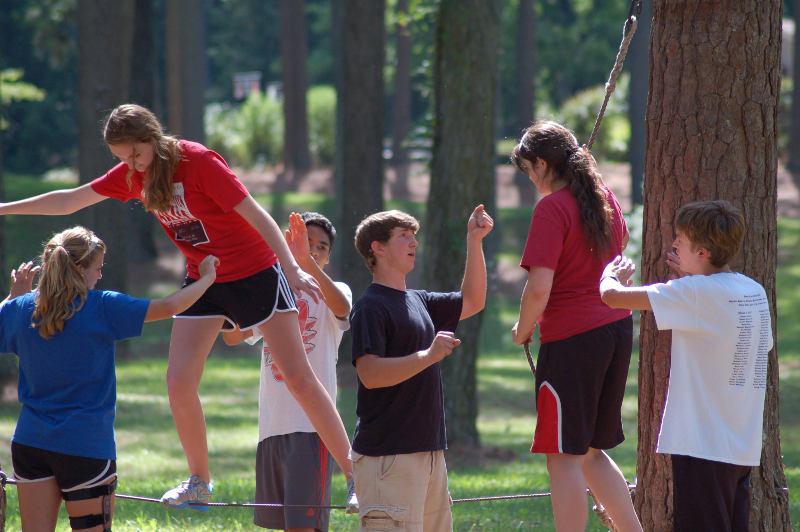 On both high and low ropes elements, scored leadership events allow teams to work together, brainstorm, solve problems and practice leadership. Learning leadership requires experiencing it, and you will get your turn as team leader, organizing your team's effort to complete the obstacles. We take time for reflection after each scored leadership event, allowing you and your teammates to discuss the strategies that worked well and skills that need to be better developed. Our leadership trainers have tough job. They facilitate the events, manage risk, and evaluate your team's performance. After the team debrief, trainers share their insights and evaluations. 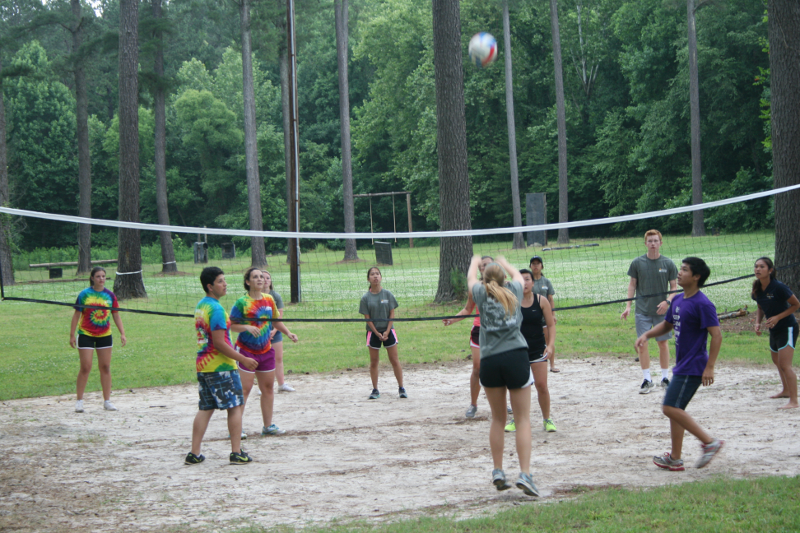 Summer Honors has fun events at Pine Valley. 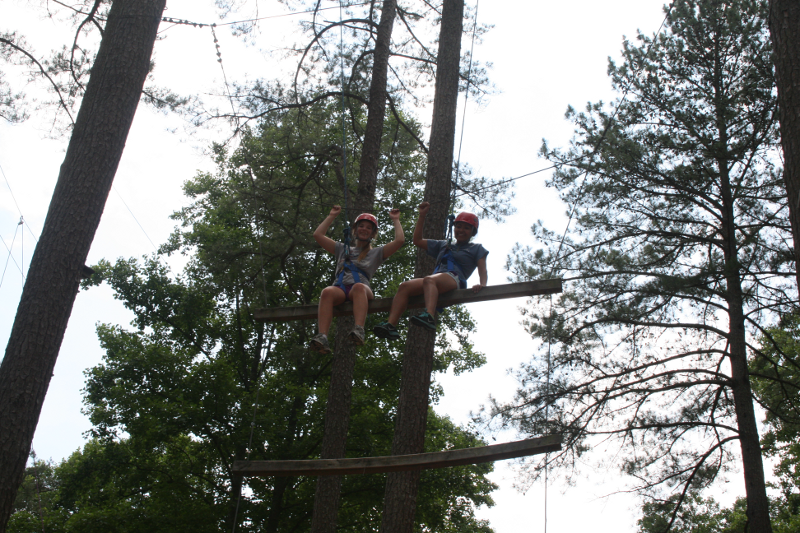 Between leadership events you will have opportunities for tubing, volleyball and relaxing and time to enjoy the Zip Line, Dangle Due, Leap of Faith and Giant Swing. 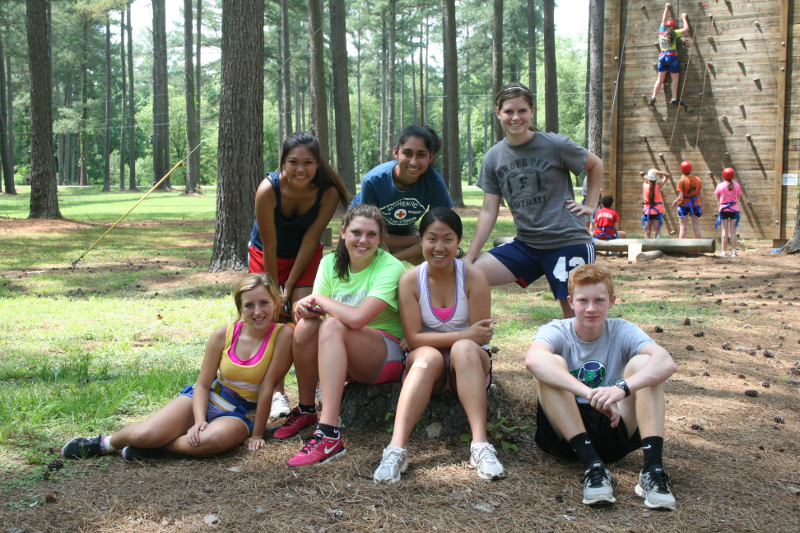 With nearly every afternoon spent at Pine Valley, we have plenty of time for learning leadership and enjoying ourselves, too.